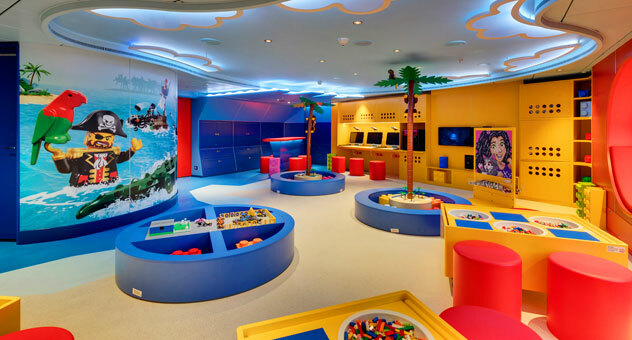 Carnival has partnered with Sky Zone to feature the first-ever indoor trampoline park and challenge zone at sea when the line debut’s the new Carnival Panorama in December 2019. 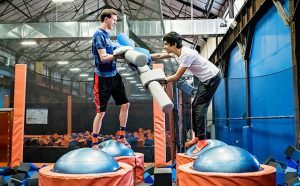 Covering over 3,000 square feet and reaching the height of two decks, the Sky Zone park provides a 12-lane trampoline court designed for guests to jump and fly freely. This venue is set to entertain guests of all ages with many exciting activities such as dodgeball and basketball on trampolines! Not only is there a trampoline court with games to play, but the indoor park also includes a challenge zone which features a balance beam, Sky Ladder and wall climbing, as well as Tug of War. Along with all these courts and trampolines will be events such as glow parties, toddler time sessions for little ones to enjoy the park, and even fitness activities for beginners to advanced levels. 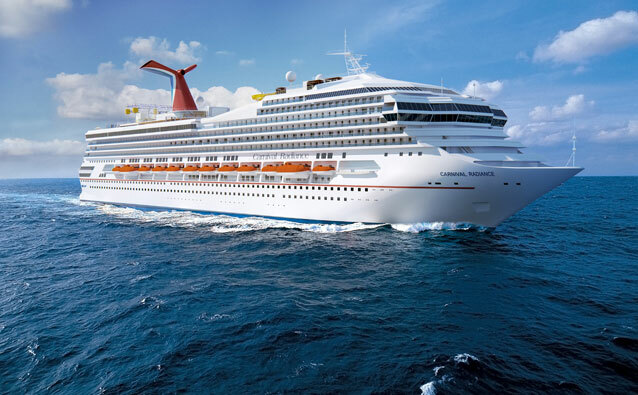 Recently, Carnival Cruise Lines announced a change to their on-board smoking policy that could result in the offender being disembarked. Previously, Carnival’s policy included a nominal fine due to extra cleaning required in the stateroom, but was still a relatively lenient policy. 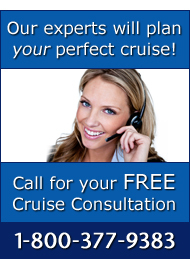 Guests who are disembarked for violating Carnival’s policy will be responsible for all financial charges and expenses to return home, and no refund of their unused cruise fare will be provided. 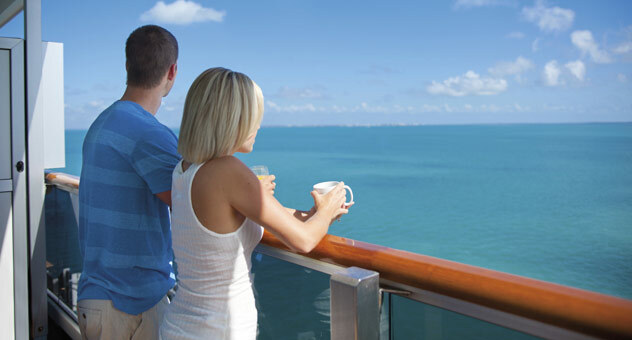 Additionally, they may be prohibited from sailing with Carnival Cruise Line in the future. 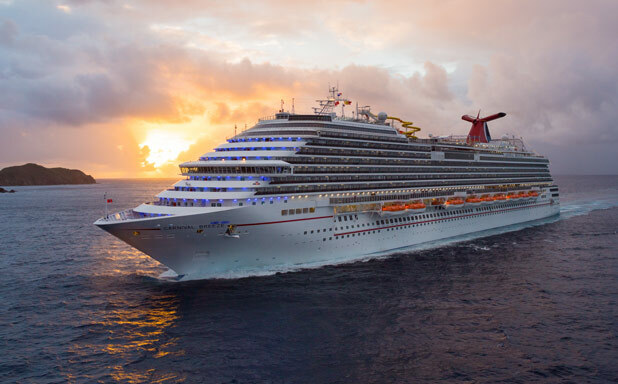 Notably, Carnival now has a $500 fine for each violation of their smoking policy, and a possible disembarkation for not only the offender, but all those in their stateroom. Any expenses incurred from disembarkation due to violation of the smoking policy will be the full responsibility of the passenger. Earlier this week, the first steel was cut to mark the beginning of construction on Carnival Cruise Line’s newest class of ship. The hull and livery design were also revealed, using the iconic red, white and blue colors that continue the legacy of Carnival being “America’s Cruise Line”. This 180,000-ton XL vessel will use liquefied natural gas (LNG) to operate—the first ever to do so in North America. A steel-cutting ceremony took place at the Meyer Turku shipyard in Turku, Finland. This will be the largest Carnival cruise ship ever constructed, set to be delivered in 2020. 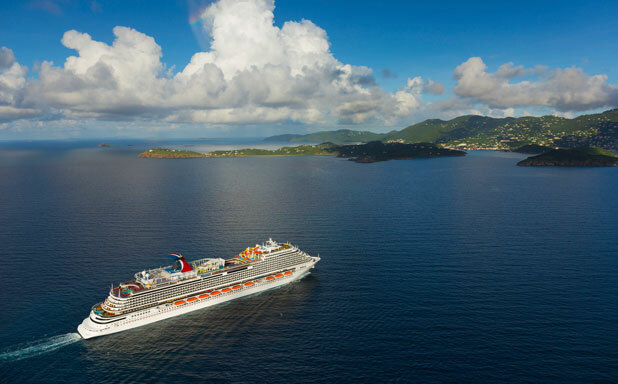 A second XL ship will begin construction in 2020 and to be completed in 2022 to celebrate the 50th anniversary of Carnival Cruise Line’s founding. Carnival Cruise Line moved their popular Carnival Vista ship over 1,000 miles from Miami to her new homeport in Galveston, Texas on Sunday September 23rd, 2018. This is now the largest ship to ever be docked in the well-known cruise port. Overseeing this momentous occasion was Carnival Cruise Line’s President, Christine Duffy, along with the ship’s Godmother, Deshauna Barber. 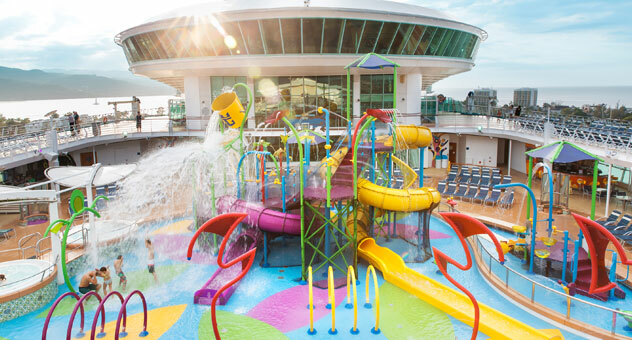 Carnival Cruise Line has agreed to a new state-of-the-art terminal in Port Canaveral, Florida to accommodate its newest ship. 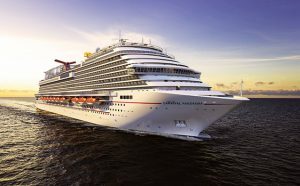 The currently unnamed ship will be the largest in Carnival’s fleet and is scheduled to make her debut in 2020. 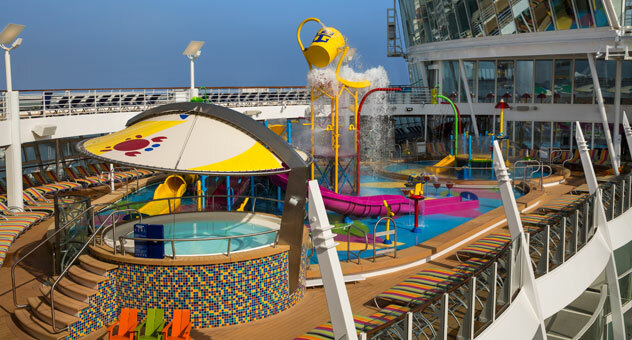 Carnival’s decision to homeport the new ship at Port Canaveral continues a decades-long strong relationship and strengthens Carnival’s position as the number one cruise line in Port Canaveral. Carnival Cruise Line will return to the Port of San Diego for the first time in seven years when Carnival Miracle begins sailing out of there. She will sail a winter schedule of 3- to 15-day sailings from December 2019 to February 2020. 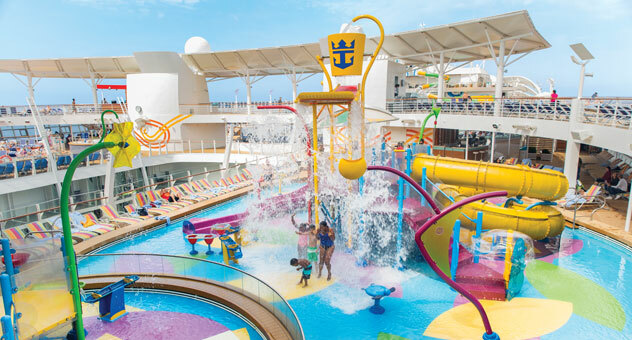 The new schedule will kick off with a 7-day Mexican Riviera cruise departing on December 1, 2019, and will also include two longer length Carnival Journeys sailings: 14- and 15-day cruises to Hawaii departing on December 8, 2019 and January 17, 2020, respectively. 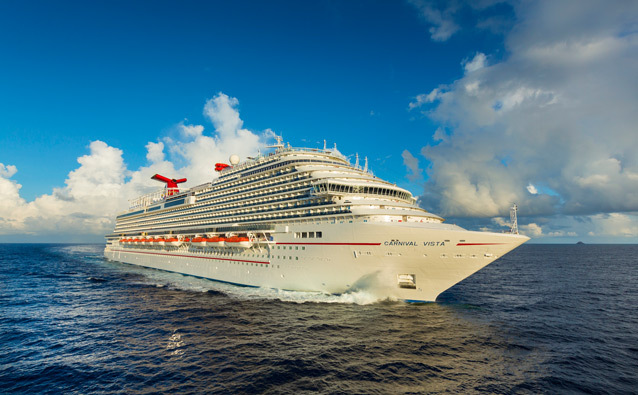 The San Diego program for Carnival Miracle will also include two 5-day sailings–featuring two days in Cabo San Lucas–departing on December 22, 2019 and January 12, 2020, as well as two 3-day getaways visiting Ensenada and departing on December 27, 2019 and January 3, 2020. 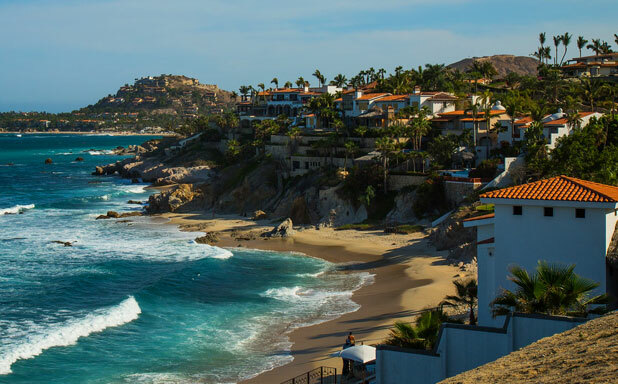 There will also be a 4-day New Year’s Baja Mexico cruise leaving on December 30, 2019, and a 6-day cruise departing on January 6, 2020 that will spend two days in Cabo San Lucas and have a day-long visit to Ensenada. Award-winning singer and actress Queen Latifah christened Carnival’s newest ship, Carnival Horizon, in a naming ceremony in New York City on May 23rd. 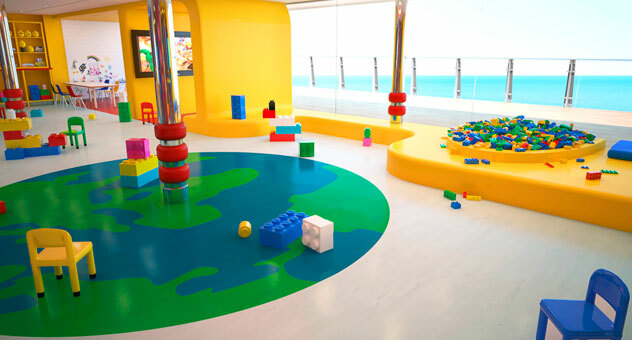 The ceremony also showcased artwork of the young children from St. Jude Children’s Research Hospital whose art decorates the Dreamscape – a beautiful three-deck-high LED sculpture in the ship’s atrium. Following the ceremony, Queen Latifah took on Philadelphia Eagles Super Bowl champion Jake Elliott in a lip sync battle – modeled after the hit TV show. Latifah performed a fantastic rendition of “It’s Raining Men” by the Weather Girls while Elliott rocked out to Whitesnake’s “Here I Go Again”. Queen Latifah may have won the lip sync battle but it was St. Jude Children’s Research Hospital who was the real winner of the day. St. Jude received a $100,000 donation from Carnival Cruise Line, which raised the money from various fundraisers – both onboard and ashore. This is the latest donation in Carnival’s eight-year history of support for St. Jude, during which more than $16 million has been raised. “Carnival Horizon’s naming ceremony was one of our best yet, with Queen Latifah carrying out her duties as godmother then battling it out with Super Bowl champion Jake Elliott of my hometown Philadelphia Eagles in an entertaining Lip Sync Battle,” said Christine Duffy, president of Carnival Cruise Line. 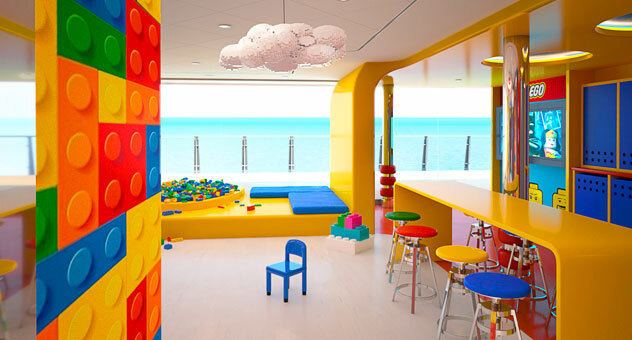 “We were also delighted to showcase the wonderfully talented children from St. Jude whose artwork on the Dreamscape will be forever associated with this spectacular ship,” she added.